If your family is ANYTHING like mine, it isn't always easy to be in the same place at the same time. It seems that no matter what we plan, someone is missing from our circle of 5. I have learned over the past year that you just have to make the most of your time, no matter when and where or who is there. It is so much easier when they are little to have family play dates but I think it is so much more important to keep having them when they get to be tweens and teens. I received $100 from Merck Consumer Care, and any opinions expressed by me are honest and reflect my actual experience. This is a sponsored post for SheSpeaks/Merck Consumer Care. One of the best active family playdates we have had in awhile is our trip to one of our local nature hiking trails. It was on the easy side so no one had too worry about sweating too much. Instead we all went into the park with our smartphones to take pictures of everything along the way. As a mom of 3 teen girls, I have truly accepted the fact that the 3 will also include 3 smartphones attached to their hands. I don't mind and guess, what? The parents are the same way. To some, this sounds awful and you might be thinking that the phones should have been left in the car. For me, I don't see it as an issue because all of them were taking really cool family photos and nature shots on our active family playdate. As the mom, I captured different pictures than my girls did. Now that the girls are older, they make sure that they get pictures of their parents which back in the day there are few mom and dad pictures because we were the only ones with the cameras. This is why we allow smartphones in our our active family playdates! We loved sharing our pictures on Facebook & Instagram with our friends and family. I hope you enjoy them here on my blog, too! If we let life overtake our lives then it will. 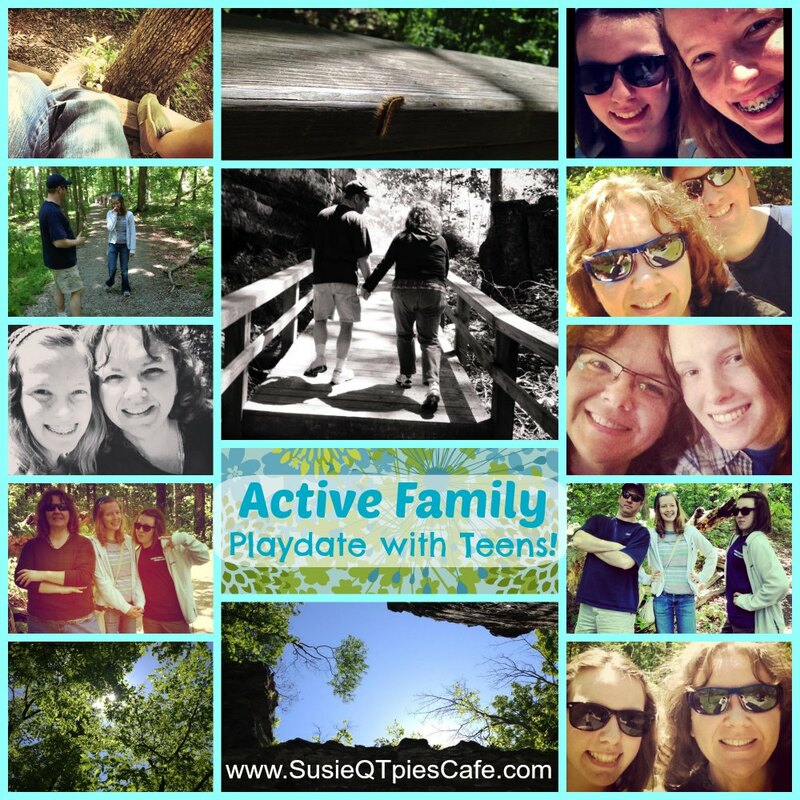 If we focus on all of the family work schedules, orthodontics appointments, summer class schedules, chores that are left undone inside and outside of the house then we might miss out on small active family playdates like the one we had a few weeks ago. Again, we have learned to take advantage of little open spots of time no matter who can join us. Teens need to feel apart of something solid and all of that is build from within their own home. Have you had any outdoor playdates with your family lately? I'd love for you to share them with me in the comments below. If you haven't I hope you plan one soon! 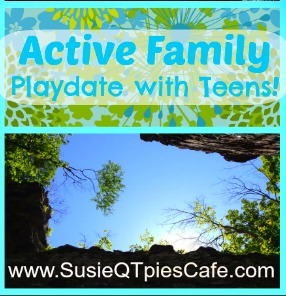 Do you need some ideas on planning an active family playdate? Use the Active Family Project Activity Finder to get tips and ideas to spend time together. Get more information here at the Active Family Project webpage and Facebook page. One of the most fun things we have done as a family is to go on easy hikes. We have boys, too, so we need to include some adventure, like pushing large rocks down the mountainside, etc. For some reason, though, the kids especially enjoy our lunches we have while we're out in nature. It's important to do fun things together as a family, and cheap ones like hikes are great! Thanks for sharing! I love this post!! Thanks for sharing it on Bowdabra!